Blogger is a robust CMS and Blogging platform, but sometime a slight bug might make your website inaccessible for everyone. What would happen if a certain URL of your site stops responding in a middle of a night, when you are asleep while another part of the world tries to access it? To tackle such errors you can monitor Server UP time of your site, so that you can receive notifications whenever a certain URL or the content of your site goes down. However, the main problem is fixing the 404 Errors! In this article, we will show you How to Fix Blogger Posts giving 404 Error? When a certain URL or blog post is returning 404 Error in Blogger then, it means that they are entirely deleted, moved to a new URL or someone reported your content. As a result, blogger team reverted it to draft. First of all don’t panic, most of the times you can still recover your deleted posts. You can recover them through easily though this tutorial. However, if you are still unable to recover your deleted posts then, there is only one way to remove the 404 Error and that is to redirect it your Homepage. Sometime, your posts are indexed in search engine but due to some mistake or lapses it starts giving 404 errors. Not to keep your visitors away from 404 errors, it is essential to redirect them safely to your home page. Go to Blogger.com >> Your Site >> Search Preference >> Custom Redirects >> Edit >> New Redirect. In the first text box, add the URL of a post which is returning 404 error while keep the second box empty. One everything is done Press “Save” and then “Save Changes” buttons to finish the process. Congratulations: You have successfully fixed Blogger post returning 404 errors by redirecting it to the homepage. You can open the URL and instead of showing not found error it would take you to your homepage. If you have a lot of 404 Errors on your site, then Instead of moving all not found URLs one-by-one to homepage it would be better to use our 404 to Home Plugin that automatically redirects visitors to the home when they access a not found page. We hope that this article would help you with resolving posts returning 404 errors in Blogger. Did this process work for you? Do you have a better suggestion for us? Please, feel free to leave your suggestions below. Actualyl one of my blog have more then 500 404's, Any solution for that? 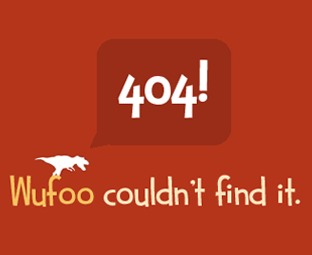 Yes You can Easily redirect your All 404 Errors to Home using this Plugin. Then you will just type "/p/about_20.html" Instead of the Full URL. Hope that answers your question. hey after i save the Redirect function, in other day the redirection is none or reseted. i don't delete the "Redirect" why ? That might be a bug. Reset it again! cheers! thanks sir it is very good post for me. In webmaster console under sitemap I get a warning 'When we tested a sample of the URLs from your Sitemap, we found that some URLs were not accessible to Googlebot due to an HTTP status error. All accessible URLs will still be submitted. 'Then under example I get the following warning 'HTTP Error 404'. How will I fix this issue.